Gili Meno is the smallest island of the series the three Gili Islands. Gili Meno is the most desolate island, ideal for those who crave tranquility and relaxation of the body. Most tourists come to this island to enjoy life away from the hustle of the city. Air pollution, noise and rapid mobilization make someone feel depressed. By visiting the Gili Island, seeing the blue sea and the colors of coral, you can feel refreshed. No wonder many tourists, local and foreign tourists, traveled to the Gili Island. 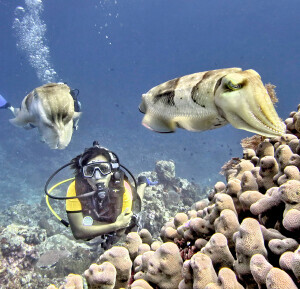 Visiting to the Gili Island, enjoying the beautiful scenery will be complete with diving or snorkeling in the sea. 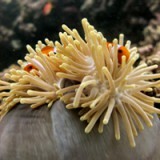 Although from the beach, the colorful coral can be seen, but you will be satisfied with seeing underwater nature directly. 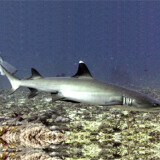 There are many kinds of marine animal, one of them that is interested tourist are turtles and sharks. 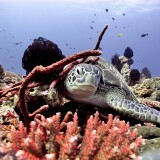 Gili Meno, you can visit the turtle breeding places. Look the restoration efforts in this place. At a certain time, you also can go see the release of hatchlings (baby turtles) to the ocean. 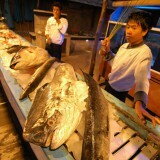 Unfortunately the cost of lodging and food in Gili Meno is more expensive compared to the two other Gili. 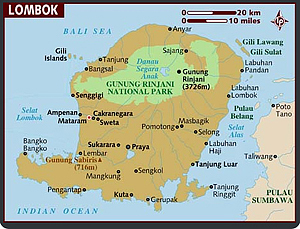 In Gili Air, many local residents live there, the distance is very close to Lombok. So the prices tend to be cheaper. Then Gili Trawangan is the largest and most crowded island. You can easily find foreign tourists visiting this island. 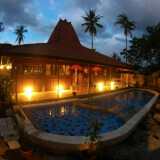 But this is the reason that makes Gili Trawangan has many optional places to stay. If you travel to Gili Meno, you feel as on a private island. Even Gili Meno presents the most beautiful nature than other Gili Islands. You just need about 6 meters from the shoreline and you can find a turtle is swimming in the sea. If you want to see a collection of turtles, you have to dive at a certain point. 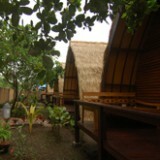 One of the best lodging recommendations is in Gili Air, Omah Gili. Do not worry about the difficulty mobilization from Gili Air to Gili Meno, because the transportation is guaranteed smoothly.